Some people know exactly where they want to buy their home in France, for the rest of us....we have a good idea of what is important in the place we want to call home but cannot be sure what areas of France will offer us the lifestyle we are searching for at a price we can afford. This is where Healey Fox are invaluable. The team at Healey Fox have more than 30 years' experience of living in France, being educated in France and working in France. There are very few corners of the country we have not visited during our time helping clients buy property in France, although we cannot claim to know every village and hamlet intimately. Throughout the time that we have worked in the French property business we have helped several thousand people buy the right French property to suit their requirements. It is such a pleasure and privilege to help people follow their dreams. France offers a variety of landscapes, architecture, weather, lifestyles and property prices. All too often people focus solely on the property and place little or no importance on the area itself. This is understandable when you look at our website and see some of the truly stunning homes at such tempting prices. We hope that the regional information on the website is a useful starting point for anyone who is rightly confused but please call us if you would like more personal advice. There are some important things to consider when thinking about what you want and need from the area and from the French property and we always suggest that you draw up a list of things you identify as being essential followed by those things which may be desirable. It is useful to keep this list with you as you view properties in France. We have seen people almost buy a house that in no way fitted their criteria just because they fell in love with it on a sunny day. It's always fine to fall in love but you need to be aware when you are letting your heart rule your head. Access from the UK may be more important to people wanting to buy a holiday home in France but is also worth thinking about if you are looking for a full time move to France, unless you are wanting to hide away from friends and family back home! Having a choice of routes to your chosen area can be wise and will hedge your bets against future changes to airports, ferry crossings or driving regulations etc. 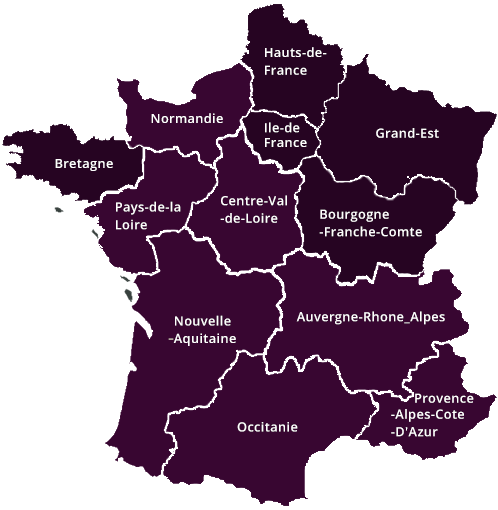 Access within your chosen area also needs to be considered when choosing the location for your home in France. Seclusion can be wonderful on a sunny summer day but may not be so good in the winter. If you need a car to be able to live in the house then consider whether there will be someone to drive as long as you live there...and how far do you want to drive when you forget to buy that litre of milk? Climate is often put forward by our clients as an important reason to buy a home in France. Bad summers in the U.K. certainly promote sales in France! Generally, once you cross the line of the River Loire the climate becomes noticeably different to that of the U.K. with shorter winters, warmer springs, more consistently sunny summers and late autumns. There are many micro climates within France though and if climate is a major decision it's good to research this carefully or speak to the team at Healey Fox who are always happy to advise. The list Keep your list of requirements and wishes with you at all times when on your search for a French property. The agent Discuss your area and house requirements with an agent or agents before you leave the UK. Viewing trips are time consuming and expensive and it is important that you make the very best use of them. Do not book every day of your trip up unless you already know the area. It is really important to give yourself time to explore the locality and get a real feel of how it would be to own a home in the part of France you have chosen. However good your French language skills it can be best to work with agencies that have French and English staff. Sometimes it is vital that the person you are working with understands your culture as well as your language. The viewing trip At Healey Fox we will arrange all your viewing appointments for you with our carefully selected partner agents in France. When planning your trip give yourself time to soak up the area and time for second visits to properties Do not take loads of photos and videos on the first viewing, it is more important to get the 'feel' of the house on this visit. You can return to take photos once you have eliminated other houses you may be viewing. Give the agent good feedback. It is important not to politely say "they are all so lovely" when you don't mean it. A good agent will be able to find you the right house if you give good quality feedback after every viewing. Do let the team at Healey Fox know how your trip went. If you are unsure about a house you saw, then chat to us... if you found that the area was not quite right for you, then let us know. Remember we are here for you from the start of your search until you are handed the keys to your home in France. That's the difficult bit done! Congratulations. Our partner agent will now be working with the Notaire in France to ensure that the purchasing process proceeds as smoothly and efficiently as possible. Information on the process can be found buying process link needed here. Do check out our information on currency as you will be able to save up to 5% of the purchase price by using our currency broker link here. If you need a French mortgage we suggest that you speak to the team at Healey Fox. We have long standing links with some of the best providers. Properties for sale in Nouvelle-Aquitaine: Property in Dordogne, France. Property in Lot-et-Garonne, France. Property in Gironde, France. Property in Charente, France. Property in Charente-Maritime, France. Property in Deux-Sevres, France.Property in Vienne, France.Property in Haute-Vienne, France. Properties for sale in Occitanie: Property in Aude, France. Property in Herault, France. Property in Pyrenees-Orientales, France. Properties for sale in Provence: Property in Vaucluse, France. Properties for sale in Auvergne-Rhone-Alpes: Property in Drome Provencale, France. 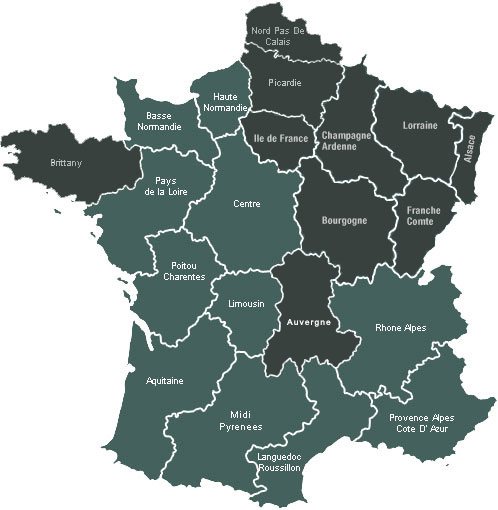 Properties for sale in Pays de La Loire: Property in Sarthe, Loire, France. Property in Maine-et-Loire, France. Properties for sale in Centre: Property in Indre-et-Loire, France. Property in Loir-et-Cher, France. Properties for sale in Normandy: Property in Manche, France. Property for sale in Brittany: Property in Morbihan France.